Melbourne sketch group Aunty Donna give us a glimpse into the past: The year 1999... exactly how we all remember it. Aunty Donna have been very busy* indeed. Before we signed them up to our comedy ship, they were hard at work creating 1999, a 10 part web series. The series was made for those internet warlords YouTube and the Iron Bank equivelant of a screen funding body: Screen Australia. What is 1999? The best way to figure this out is to actually watch it. The first episode landed last week and today... just now... they released episode 2. Every Friday around 11am (we think) they'll drop another episode just as their fan base wakes. Check out episode 2 below! 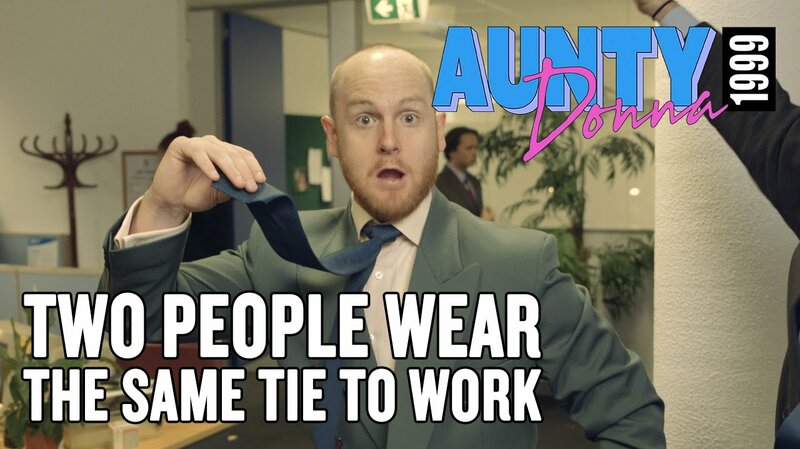 And of course keep your eyes open for business, because later this year Aunty Donna will be releasing their Not For TV series for us! Aunty Donna will also be going on a very fancy national tour of their live shows, check out dates here.